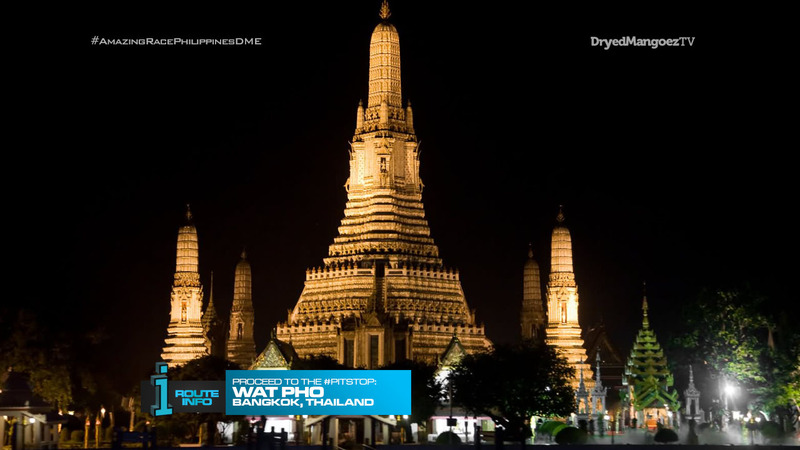 The Philippines is home to some of the largest shopping and entertainment complexes in the whole world. 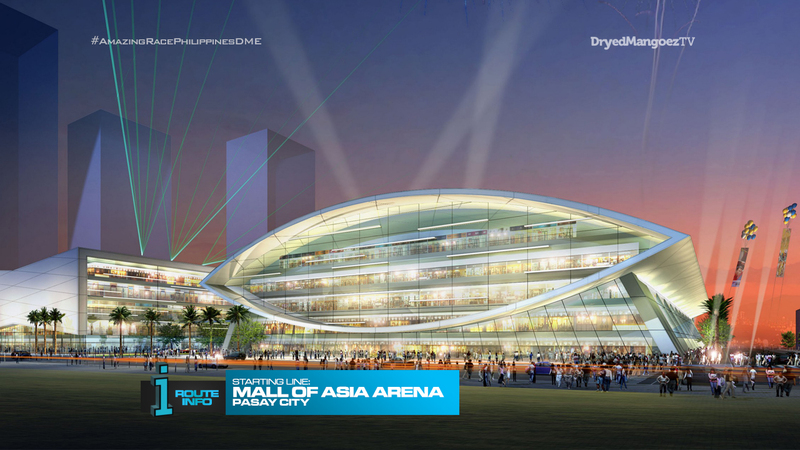 And the SM Mall of Asia is one of them. 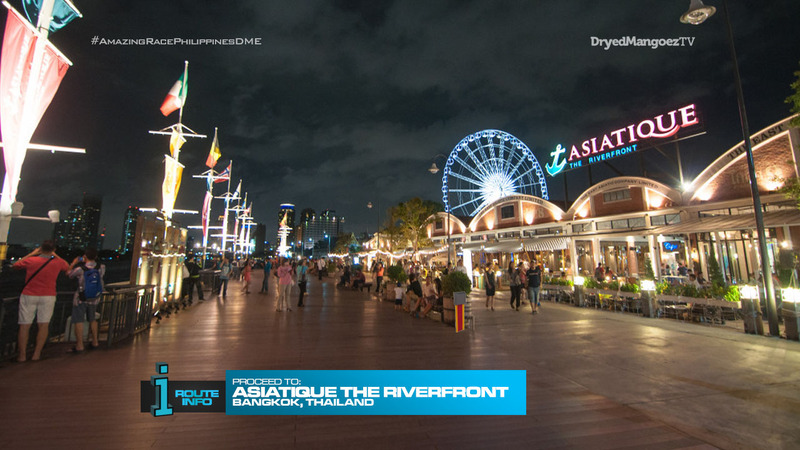 Here in front of the SM Mall of Asia Arena, at midnight, 12 brand new Filipino teams will embark on a Race around the world! Teams will run to their backpacks and rip open the first clue. Teams must run over to the SM Mall of Asia Globe Rotunda. On the LED display will appear a globe which will have dozens of flashing pinpoint locations around the world. Teams must figure out their first destination city which will be the only pinpoint location flashing red and yellow. 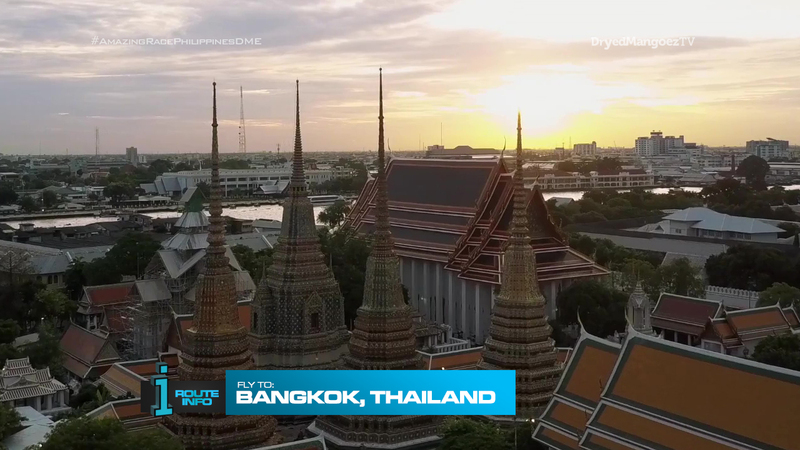 That city is… Bangkok, Thailand! 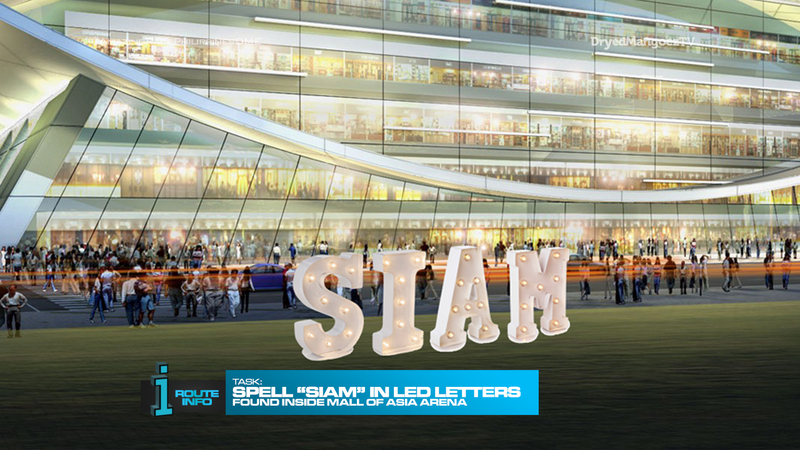 The first team to correctly plug the four letter blocks together to spell “SIAM” will win their choice of either a Fast Forward Note or an Express Pass. The second team to present their “SIAM” blocks will win which of the Fast Forward Note or Express Pass was not taken. The last place team will be slapped with a Hazard sometime during this first Leg of the Race. This is also the Trigger Point for this first Leg of the Race. If any team gives an incorrect answer, the U-Turn or Yield will be activated on the next Leg. All teams will be on the same Cebu Pacific flight arriving in Bangkok at 8:45am. 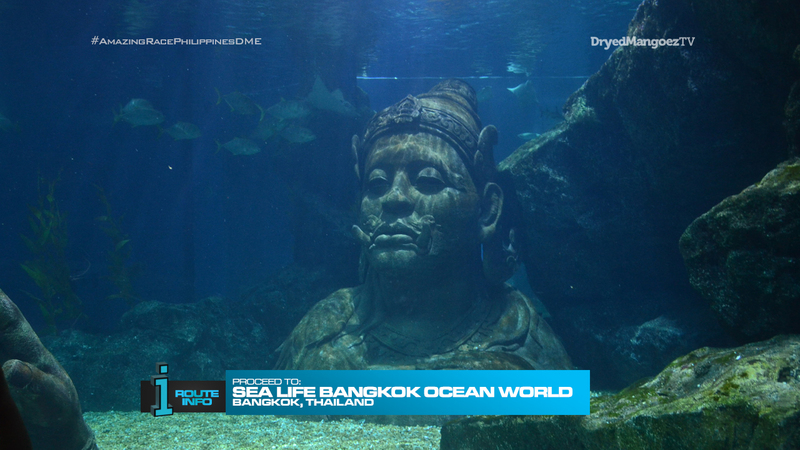 Once in Bangkok, teams must travel by train to Sea Life Bangkok Ocean World where they will find the Detour: Dive or Walk. For this Detour, teams must choose which way they would like to search for and retrieve a box along with their next clue. 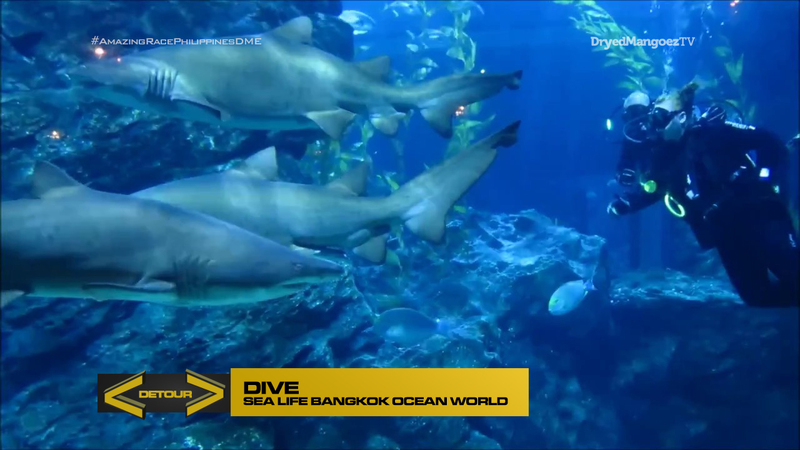 For Dive, teams will be diving with sharks. 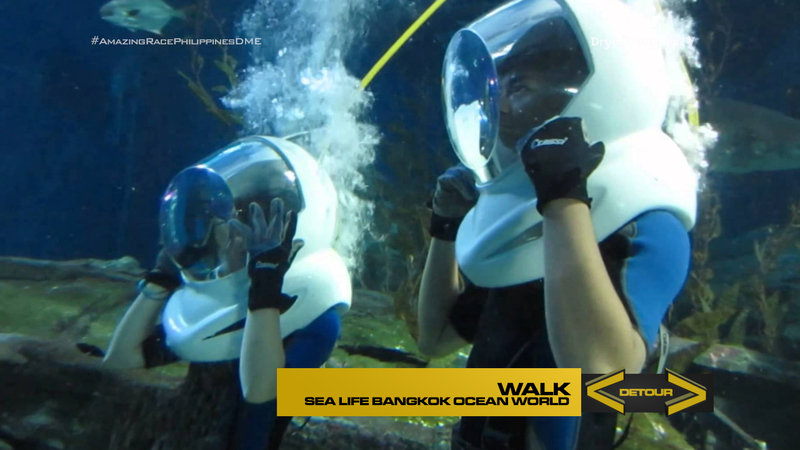 For Walk, teams will do an oceanwalk. 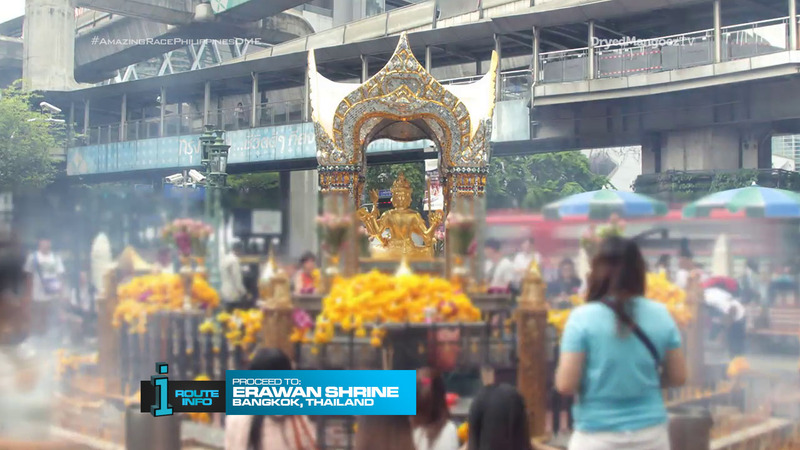 Teams will keep the box until further notice and open the next clue which tells them to make their way to the city of Chonburi to search for their next clue. 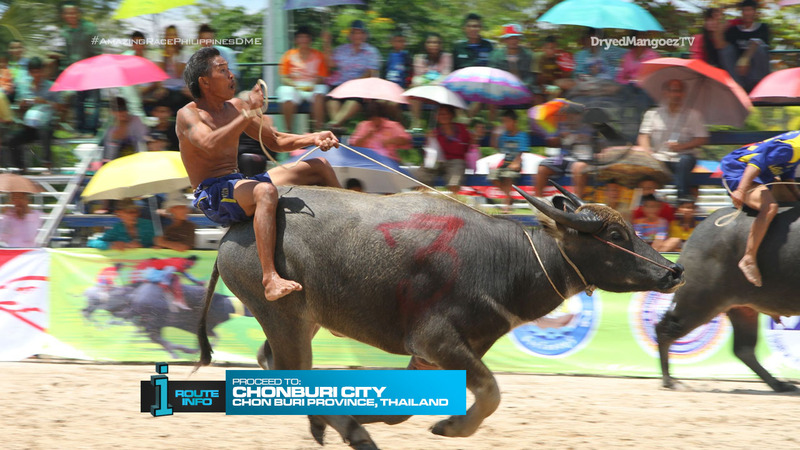 Chonburi is home to the annual Chonburi Buffalo Race Festival. For this task, teams will choose a buffalo and use all the provided materials to dress them according to a provided photo. For the last place team at the Starting Line Task, they will encounter their Hazard. They must dress two buffaloes instead of one. After teams properly ensure their buffaloes are ready for the festival, they can open the next clue which reveals a Duel Duel! For this Duel Duel, teams will participate in a favorite event of the festival: buffalo racing! But teams will not be racing real buffaloes. 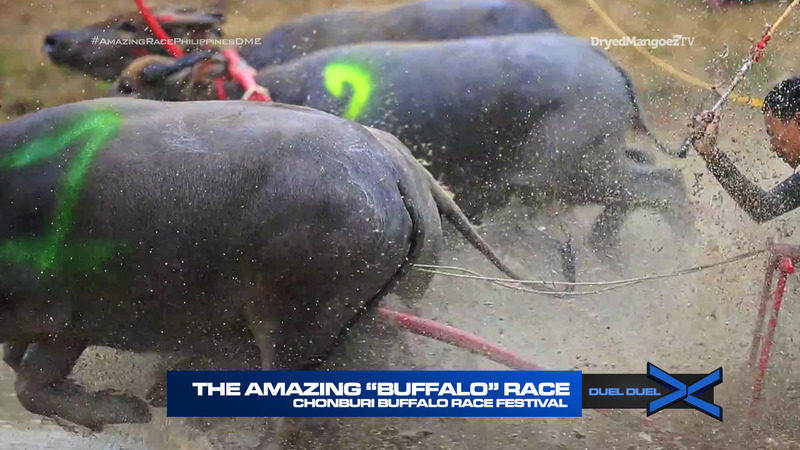 Instead, teams will face off as they race through the mud while pulling a cardboard buffalo! The last team to lose a Duel Duel will pull a heavier cart of items through the mud for two laps to receive their next clue. 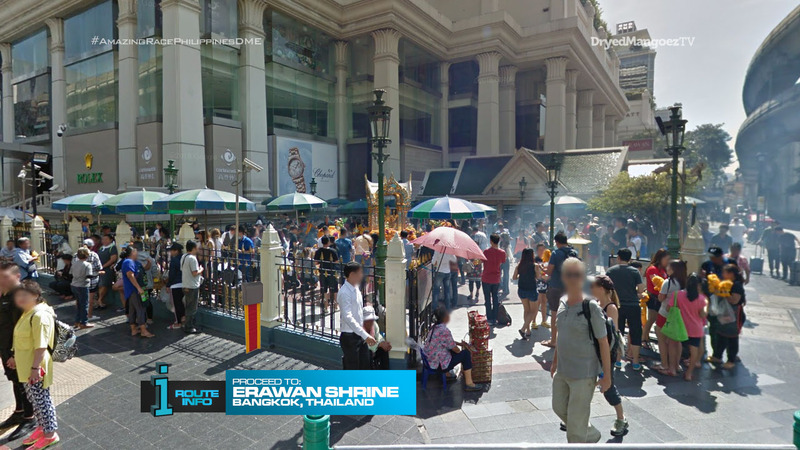 Teams must now make their way back to Bangkok and find the next clue by Erawan Shrine in the sprawling Siam Square. Love of Siam is one of the most popular and acclaimed Thai films. 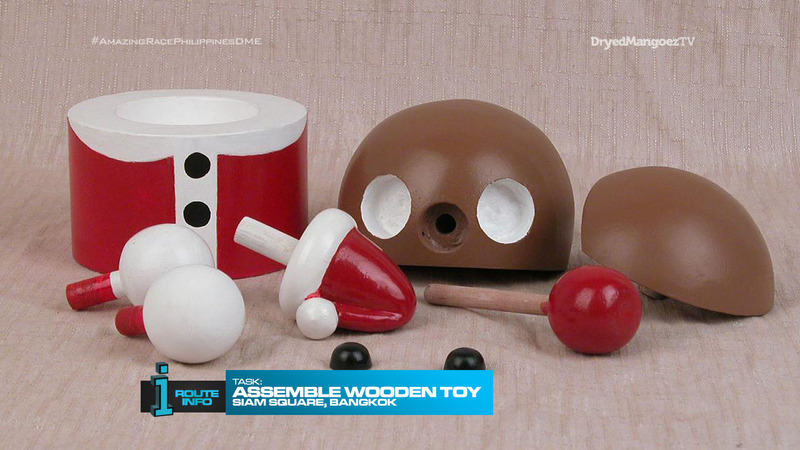 For this task, teams will use a provided map, written completely in Thai, to search the sprawling shopping district for pieces to put together a large replica of the toy from the classic film. They can then open the box they retrieved in the Detour, which contains the critical and finishing piece of the toy; its nose. 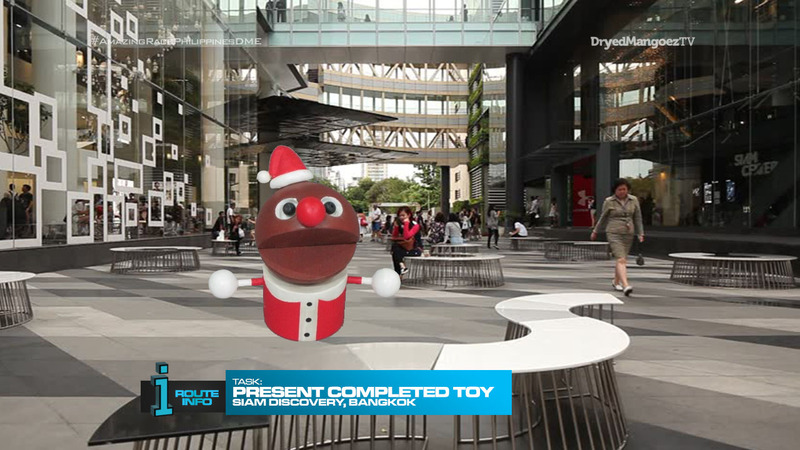 Once they present their completed toy, which they can keep, outside the Siam Discovery Center, Love of Siam stars Witwisit Hiranyawongkul and Mario Maurer will hand them their next clue! 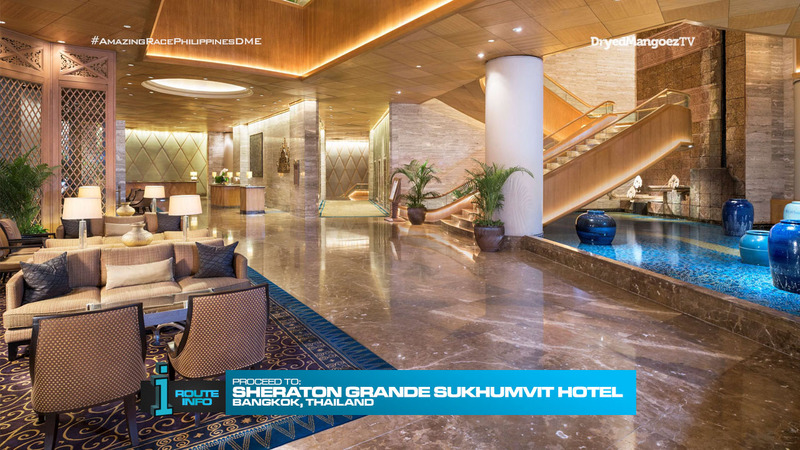 Teams must now make their way to the Sheraton Grande Sukhumvit Hotel and search the lobby for their next clue. That clue contains the Road Block: Who has good sense? Teams will experience Dine in the Dark in which they will enjoy a four-course meal… in a pitch-black room. For this Road Block, they will be served by visually impaired servers. The Sheraton donates 5% of every meal cost to a foundation for the blind in Thailand. Teams must guess what they are eating. If they get all foods correct, they will receive the next clue. If not, they must enjoy another meal. The first Pit Stop of the Race. Yay! TARPHDME is back for another great season! And we start off with a pretty full and exciting Leg! First off, we have our Starting Line at the SM Mall of Asia. 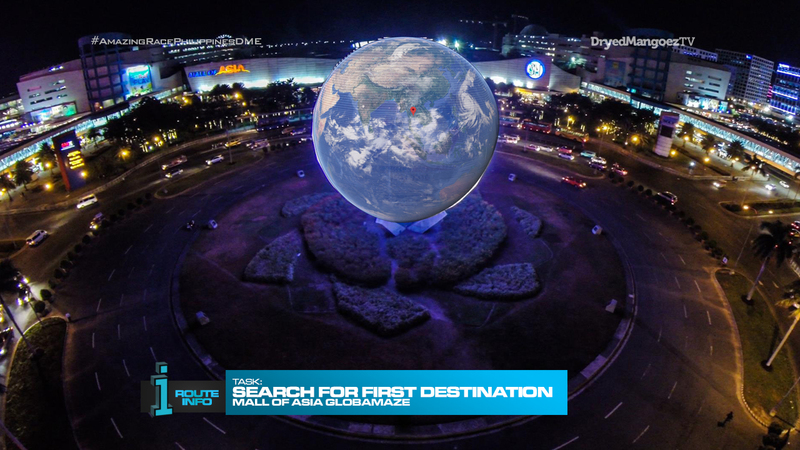 Starting at the big globe at the Mall of Asia has been on my Starting Line shortlist for a while. I wanted to find a way to incorporate the big globe into a Starting Line task. I think what we have here is alright. The Starting Line will probably be around midnight. We definitely have the option of making this an Open Starting Line and invite fans and families to enjoy the fun. Of course, this Starting Line task involves spelling. If you go through the past TARPHDME seasons, most Starting Line tasks involve spelling something, most likely the first country’s name. lol Anyway, utilizing the MOA Arena should be good here. We have the arena dark with only the hundreds of LED letters lit up all over. Should be an exciting task. We also bring back the Express Pass here and having the top 2 teams choose between it and the Fast Forward Note. So the Bangkok part of the Leg came about as a necessary connection to our Leg 2 destination. But I think it worked out pretty well. First up, having teams take the train to the ocean park will be a nice challenge itself as they arrive. The Detour is just a simple, straightforward task that utilizes the location and merely allows teams to space themselves out a little as we head to the Duel Duel. So, I’ve had the Chonburi Buffalo Race reserved for a while now and have been waiting for the perfect time to include it on a Leg. Since we get into Bangkok early, having the teams travel form Bangkok to Chon Buri should be fine in the middle of the Leg. 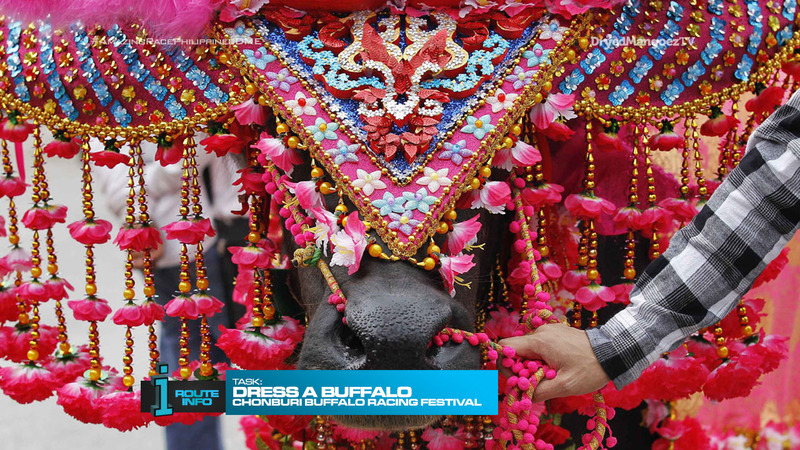 First, we have teams dressing up the buffaloes in very elaborate costumes. Another straightforward task that is also a good spot for the Hazard. But the highlight certainly has to be the Duel Duel. Now, I don’t know how safe it is for teams to actually race buffalo. So we have a compromise here. The point is to get teams in the mud of course. Not sure what they can race with though that won’t get them injured. lol Pulling fake buffalos? I also had them pulling items on carts. So anything that gets teams in the mud and running is fine. The Road Block is a very interesting task that is also a nice way to feature a good cause. When reading up about interesting things to do in Bangkok, the Dine in the Dark experience seemed like a great possible task. And we get to help as well. 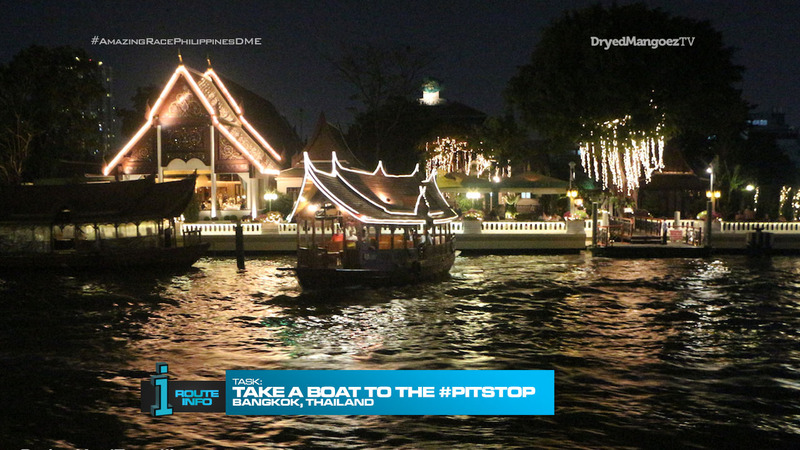 Finally, after this very long day, teams have to hop on a boat and travel by water to the Pit Stop. 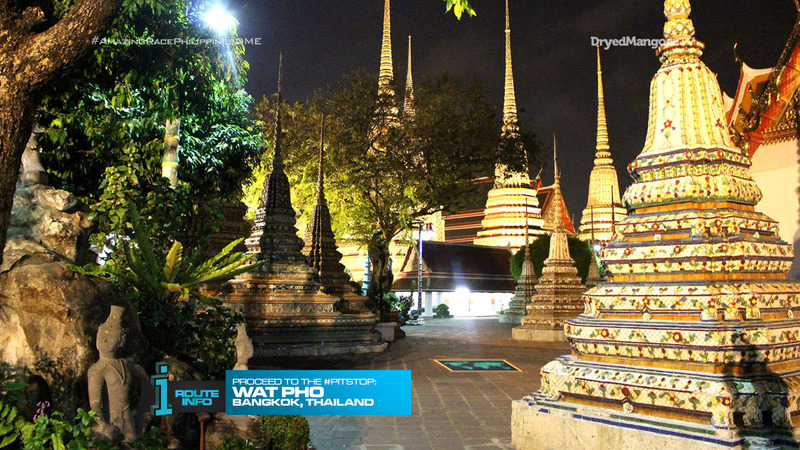 Wat Pho should obviously look stunning at night, especially with 4K UHD drones of course. I originally had this Leg as a Non-Elimination Leg then a SuperLeg then a Zero-Hour Pit Stop with Elimination. But I decided to just make it a regular Elimination Leg. I think it would be a good end to this very full opening Leg.